To make their Rummy game play more user friendly Adda52 keeps updating its rules and feature list. In the near past the site has come up with some of the most effective updates and new game features that have been appreciated by all its players and online card gaming world. Now, after researching for a while, team Adda52 has decided to introduce some other features for its online Rummy players. For 13 Card Rummy: In case of 13 card Rummy, the maximum points that are deducted in such situation are same as ‘Middle Drop’ points. 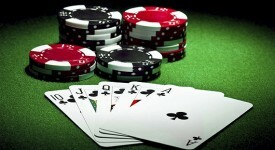 For 13 Card Marriage Rummy: Maximum of middle drop points are deducted and value cards as well are honored. For 21 Card Marriage Rummy: The deductions of points are same as maximum middle drop points and value cards are honored. Exiting Room without Dropping Hands: Some players exit room without selecting the option to drop the game. Initially when this situation arose, the middle drop points were deducted but now full hand for that particular player will be deducted. This feature is updated in order to reduce unstructured game play. These are some of the very useful online rummy rules that were updated at Adda52 in order to create more authentic and useful game play. These rummy rules will definitely go about making the rummy experience better at Adda52.